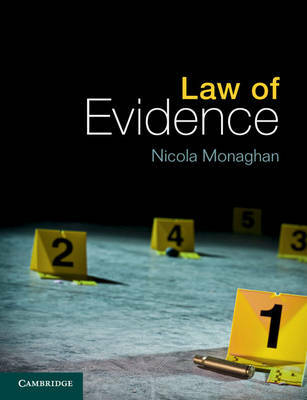 Combining straightforward explanation with scholarly analysis, Law of Evidence introduces students to the full range of topics covered in law of evidence courses, with clarity and depth. Highlighting the context within which the law operates, the textbook maintains an engaging narrative with a strong practical focus. Integrated extracts from key judgments and statutes, as well as academic articles and books, lead students to develop a deeper understanding of the subject, and detailed commentary on these extracts helps students develop the ability to read and analyse case law effectively. Student learning is further supported by numerous visual aids, including diagrams, flowcharts and tables, which illustrate the relationships between principles and provisions and clarify the complex aspects of the law. A companion website with regular updates to the text ensures that students always have the most up-to-date coverage of the law at their fingertips.